We don’t need to tell you that good distribution of your birds in the poultry house ensures a better feed intake and more uniform growth but also a better distribution of the birds over the poultry house floor. 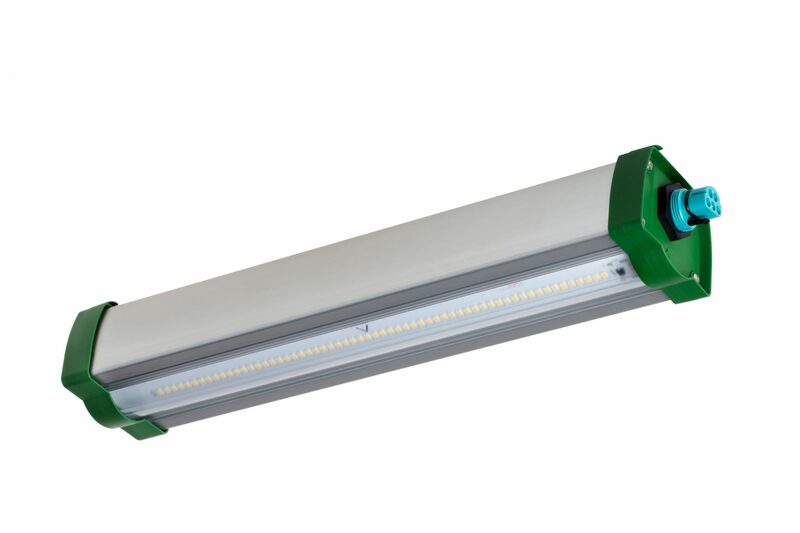 Many years of experience in lighting, energy and agricultural buildings has resulted in the development of Agrilight’s efficient LED fixtures in the AVILED® series. With the AVILED® eco, animal welfare and production optimization are combined. With the newest technology, we made it possible to dim the light down to 1% flicker free at all dim levels. A bad distribution of the birds can cause wet spots on the floor which can lead to infections and foot disorders. A good distribution of the birds over the poultry house floor also contributes to less picking behaviour of the birds. 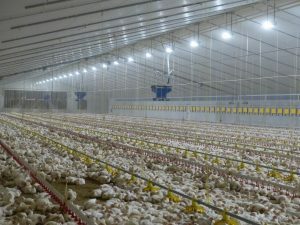 Research performed by the University of Wageningen demonstrates that an optimal light level and good light distribution are the key factors that ensure good distribution of birds in a poultry house. The dimmable lighting from Agrilight allows you to influence the growth rate of your birds. To influence the growth rate of the birds, farmers use the dimming of the light. For optimal control, farmers prefer to dim the light down to 1% dim level. Light manufacturers use a method with quickly turning on and off the light (Pulse Modulation Dimming) to achieve this low dim level. People will not see this flickering, but the birds do and this causes stress. Stress affects the animal welfare and the full growth of the birds. This causes a higher death rate among the birds and lower profits for the farmer. With the new dim technology, Agrilight made it possible to dim the light down to 1%, with a constant light output (Amplitude Dimming). This is 100% without flickering and does not cause stress for the birds. This results in a lower death rate and better full grown birds, resulting in higher profits for the farmer. 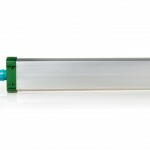 The AVILED® eco has a 4.000K neutral white light colour. According to the latest research of Wageningen University (2016*) the neutral white light is the optimal colour for growing broilers. 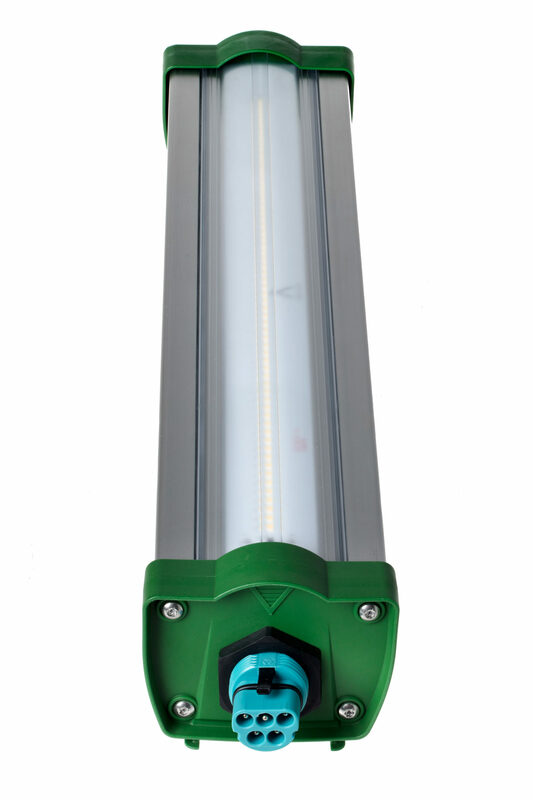 The neutral white light is also a suitable light colour for the farmer and veterinarian to observe the behaviour and health of the birds. *source: “Licht op licht: Licht en verlichting in de pluimveehouderij in relatie tot beschadigend pikgedrag”, Niekerk, Ellen, Winkel (WUR) January 2016. 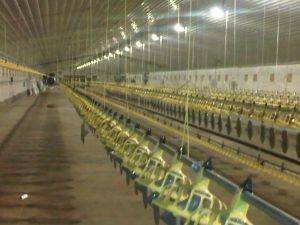 Just like all Agrilight products, these fixtures are designed for the barn environment and are resistant to moisture, ammonia and dust. 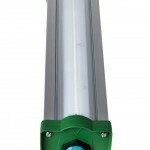 The aluminium housing transfers the heat produced by the LED. 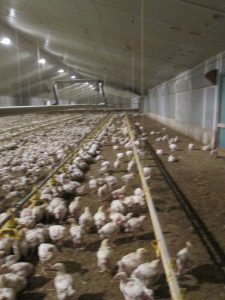 The PMMA lens cover is strong and resistant to the harsh barn environment that comes with the poultry houses. 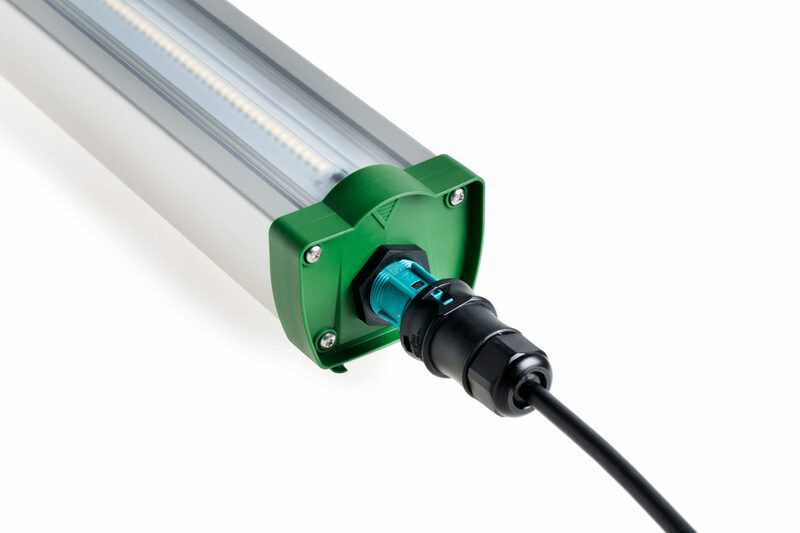 With the IP65 rating, the fixture is waterproof for cleaning the fixture after each round. 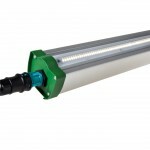 The unique Agrilight® design in combination with the high quality materials and parts results in a reliable fixture that guarantees a lifespan of at least 100.000 burning hours (L90 B??). 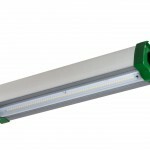 During the lifespan the fixtures are maintenance free. The internal parts, including the LED’s can be replaced. 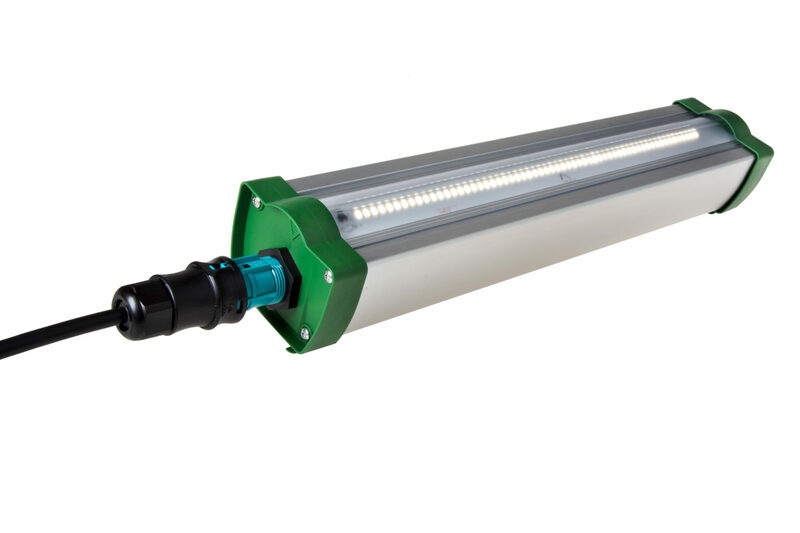 Therefore the lifespan of the fixture can be extended beyond the 100.000 hours.All of this in combination with the 5 year full Agrilight® warranty contributes to optimal performance of your poultry house. During the design phase of the AVILED®eco, lumen output and power consumption where not the only aspects the design was based on. Also user friendlyness and easy installing where key aspects. There were also choices made with regard to the environment. 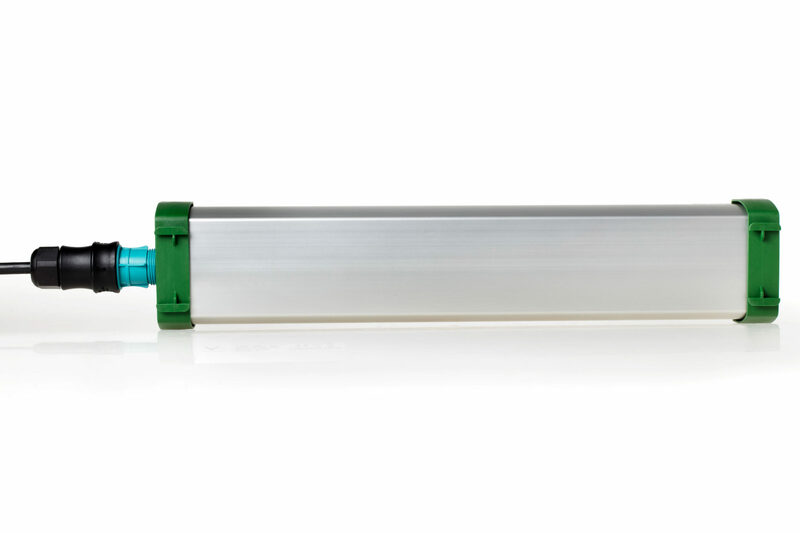 Due to the smart design of the lens, up to 35% less fixtures are needed in comparison to conventional fluorescent fixtures. This way you get the same results with less fixtures. In combination with the lower amount of needed fixtures, a high Lumen per Watt ratio and low energy costs of the AVILED® eco, this results in a very efficient lighting system. the compact design, the use of high quality materials and production in The Netherlands, the AVILED® eco is produced and transported in a environmentally friendly manner. In comparison to other light products, the AVILED® eco has a low ecological footprint. The AVILED® eco is produced under good working conditions and thus fits into a modern and socially responsible business. The high Lm/W ratio makes that the AVILED® eco can be applied to many subsidy programs. This saves you money on the purchase of the lights. 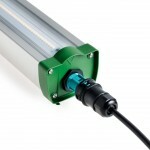 A high-quality, efficient and reliable lighting system is essential for modern business operations. With healthy, well-grown animals and a low drop-out rate, you achieve the best results and the investment in the AVILED® eco quickly returns.